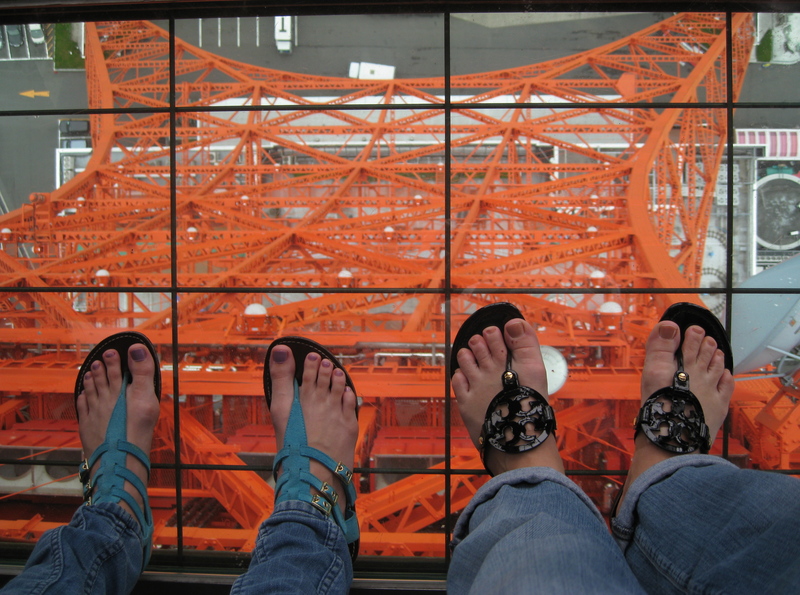 Can the Tokyo Tower Entertain Two Teenagers, A Driver, A Mom and a Senior Citizen? The Tokyo Tower will then wink at you from around every corner to which your host will turn to you and say,”There’s the Tokyo Tower!” as if it were the spot housing the pot of gold at the end of the rainbow. As many of you know, my mother is in town. Nicknamed “Thin Lips” for the ability to compress both lips in to one thin line producing a pure evil expression usually directed at Sister 3, the Tourist. Yesterday we had an afternoon to fill, so after 9 months of avoidance, we headed toward the Tower of Tedium. Unlike other famous viewing spots, the Seattle Space Needle for instance, the view from the deck is similar to the view from the ground- lots of squares. Although I did find the grassy patch on top of the building in the foreground of interest. As if the management sent out a broadcast in anticipation of our arrival, several holes were cut in the viewing deck for the entertainment of the Clampitts. We started slowly by taking pictures of the parking lot below. Then we stepped on the glass. 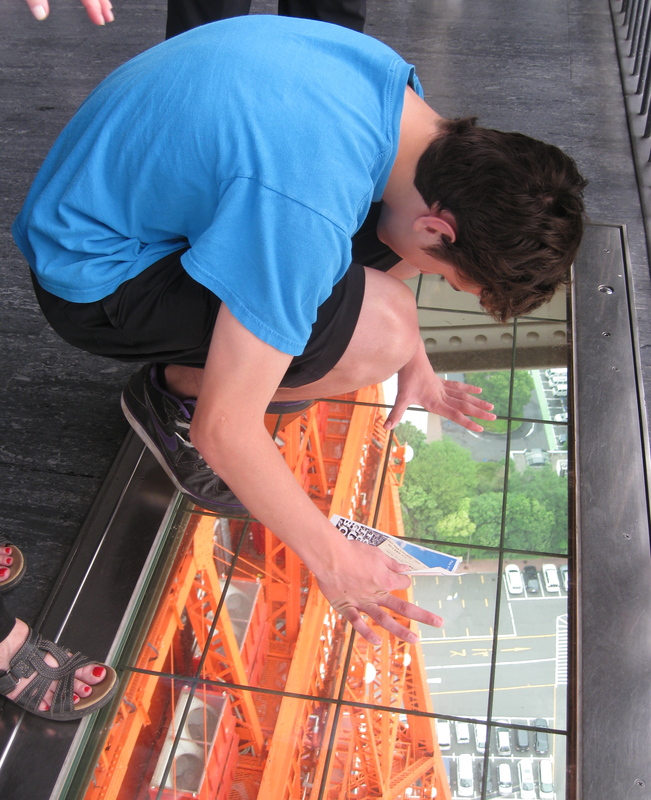 Then “someone” had to jump on the glass to test the safety…. This went on for several minutes as we jumped, laid, and ran over the glass. Until Andretti-san got carried away and was asked to stop by the manager. Next time he’ll have to remain in the car if he can’t control himself. From a higher vantage point. The patch of grass on the roof was about the same size. We turned tail for the elevator headed in the direction to the Tower’s myriad of attractions on the 4 lower levels. Back down the world’s creakiest elevator listening again to the woman informing us not to fear, which is scary in itself. How about greasing that thing with a good dose of WD-40? 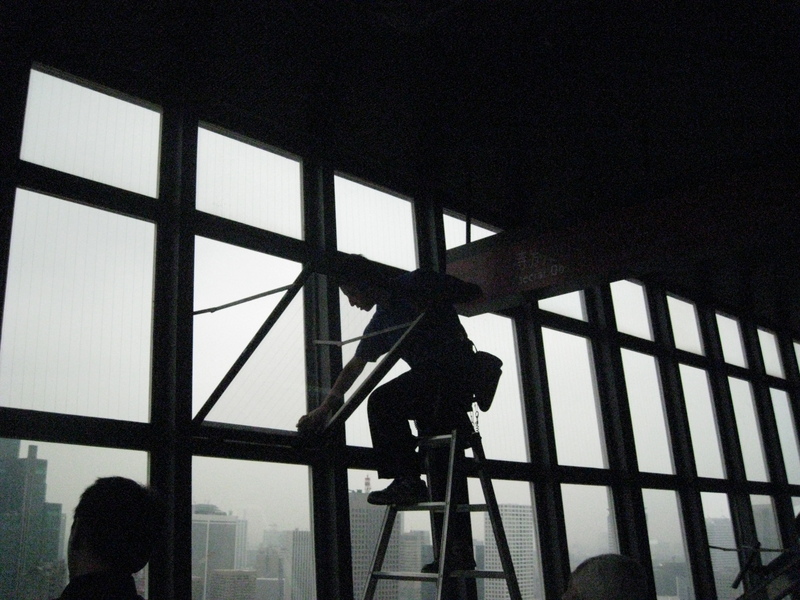 I mean, these guys wash the windows… Luckily for this man, I intervened as Andretti-san and the Offspring were headed over to shake the ladder. In a generous mood, I opted for the “Combination Ticket” which bought entry in to Nippon’s Playland, the Wax Museum, and Nippon’s Magical Dungeon. We didn’t have time for the aquarium. Only the Japanese can build a Magical Dungeon which can keep Japanese, English, Korean and Chinese speaking children, 2 teenagers, a Senior citizen and 2 adults entertained. It took all of us to get out of the jail in which we eventually found ourselves. Hint- one of the bars is rubber. Don’t panic when your purse gets caught, one of the nice ladies will remove it once the screaming hits a certain decibel. 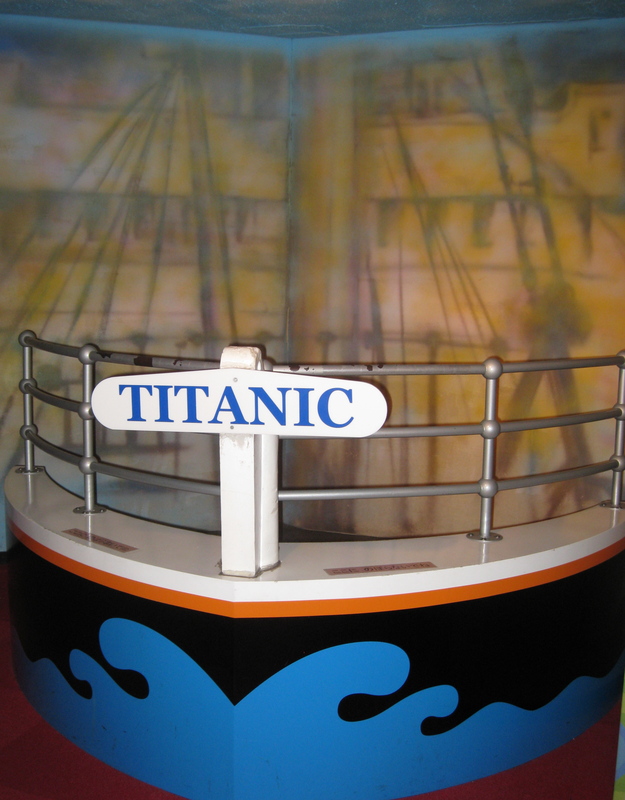 The entertainment in the wax museum involved identifying the celebrities. 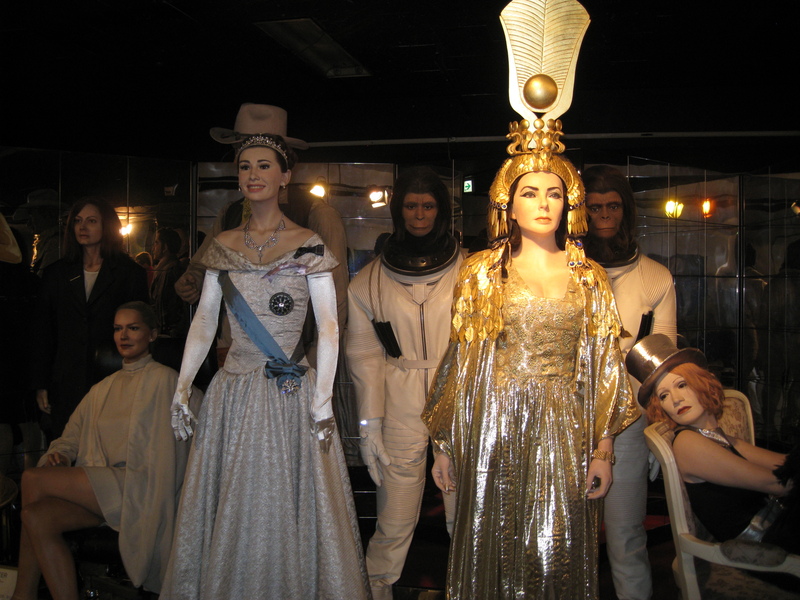 Elizabeth Taylor and Planet of the Apes were recognizable due to the costumes, but who is the woman with the top hat? 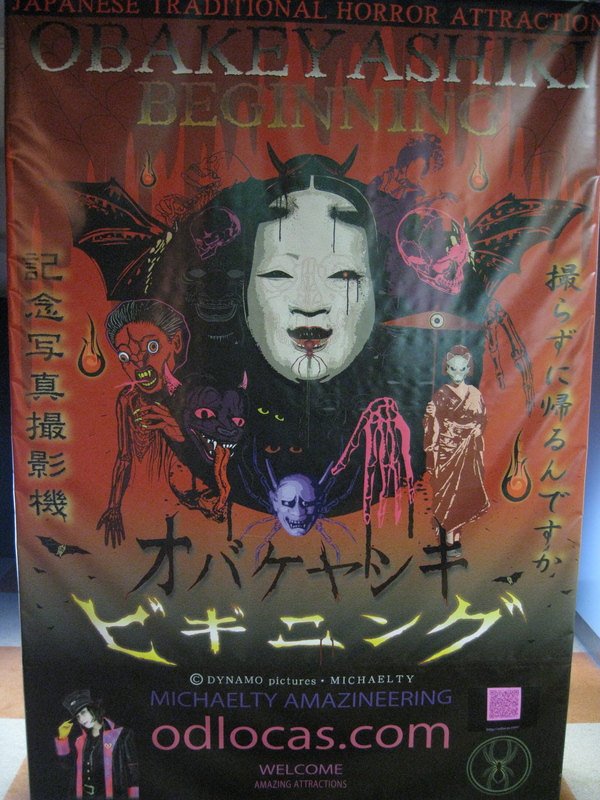 In an attempt to cover all target audience bases, a “haunted house” was included. I preferred my last experience at the 4-D theater in the Camden Aquarium being spat upon and rocked in my seat by Sponge Bob Square Pants to this jiggly 60’s version which left me nauseous from blurred vision. 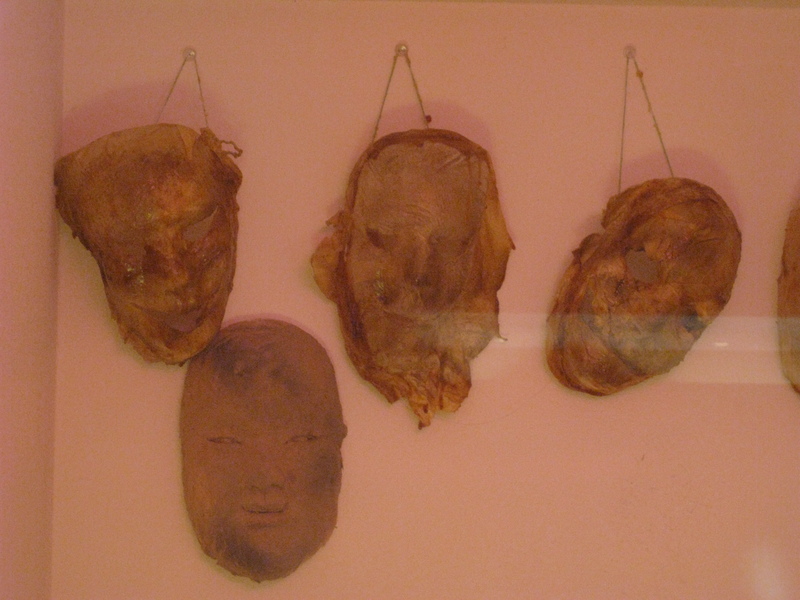 No amount of cajoling in either language would convince the uniform clad ticket clerk to sell one of the masks. Perhaps she knew I had plans to re-enter the Magical Dungeon as the “Jailed Avenger.” Maybe that would’ve only been funny to me. A uniquely Japanese experience, all attractions in Japan have a themed cartoon character. Please meet the Younger of the two Noppon brothers. We spent much of the day discussing two things: What exactly ARE the Noppon brothers and who is Noppon? I feel obligated to include at least one fact in this post. 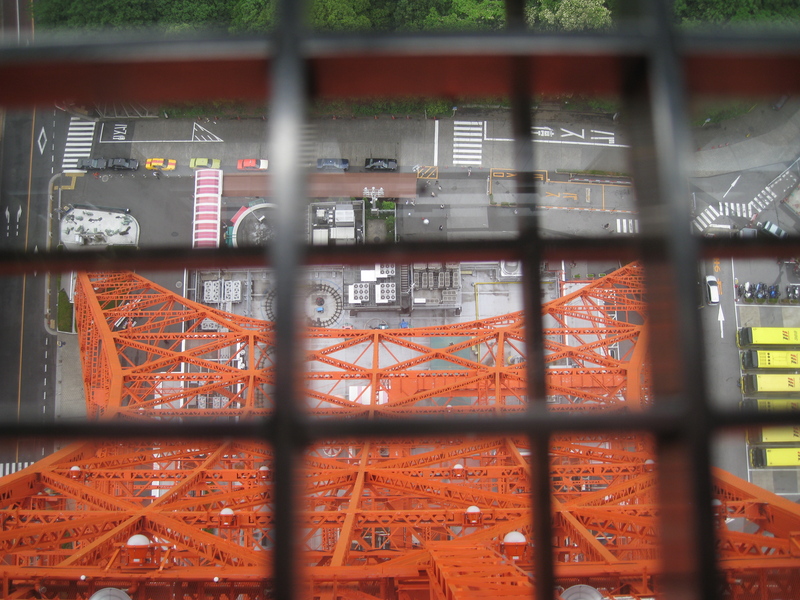 Like a radio dial, the Tokyo Tower is divided in to sections based on frequency. Unfortunately, the Tokyo Tower will be usurped in popularity on the skyline tour at the end of 2012 by a new baby sister- the Sky Tree. No- these are things magic is made of- Bring it on Sky Tree. 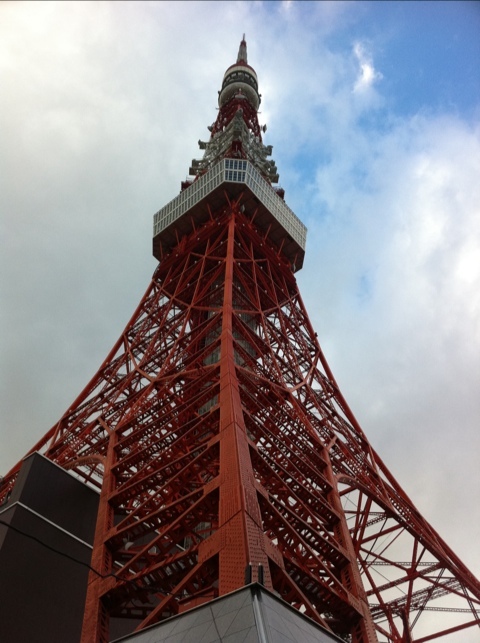 The Tokyo Tower will be hard to beat and is a definite stop on the Clampitt Tokyo Tour. 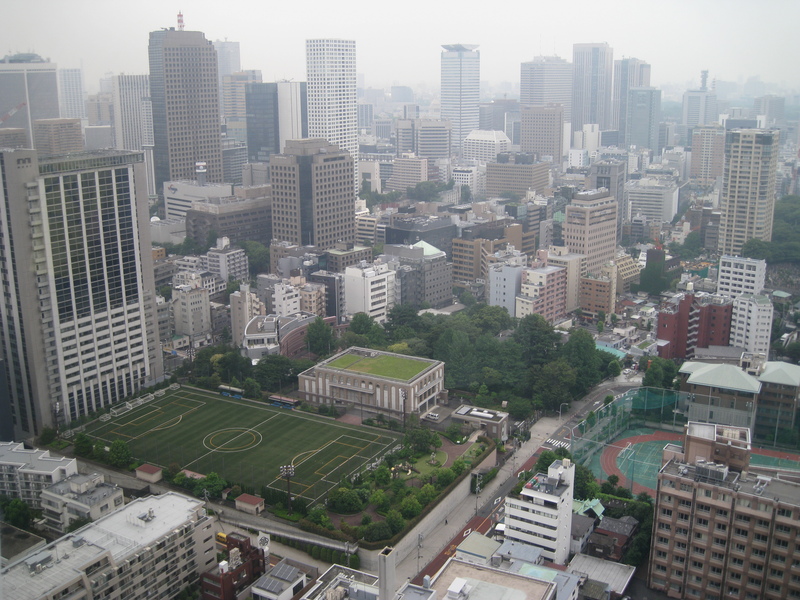 This entry was posted in Moving to Japan and tagged Amblerangel, Culture, Emily Cannell, ExPat, Hey From Japan- Notes on Moving, Humor, Japan, Moving, Offspring, Thin Lips, Tokyo Tower, Tour, Vacation. Bookmark the permalink. 136 Responses to Can the Tokyo Tower Entertain Two Teenagers, A Driver, A Mom and a Senior Citizen? I don’t know if I’m wearing her out or if she’s wearing me out. I know we’re eating A LOT! You should- if for no other reason than there’s a Baskin Robbins, Ramin shop, One of those WONDERFUL waffle places with the ice cream on top, AND an espresso place…. it’s a huge bang for your tourist buck!!! Tokyo Tower >>>>>>>>>>>> Sky Tree. 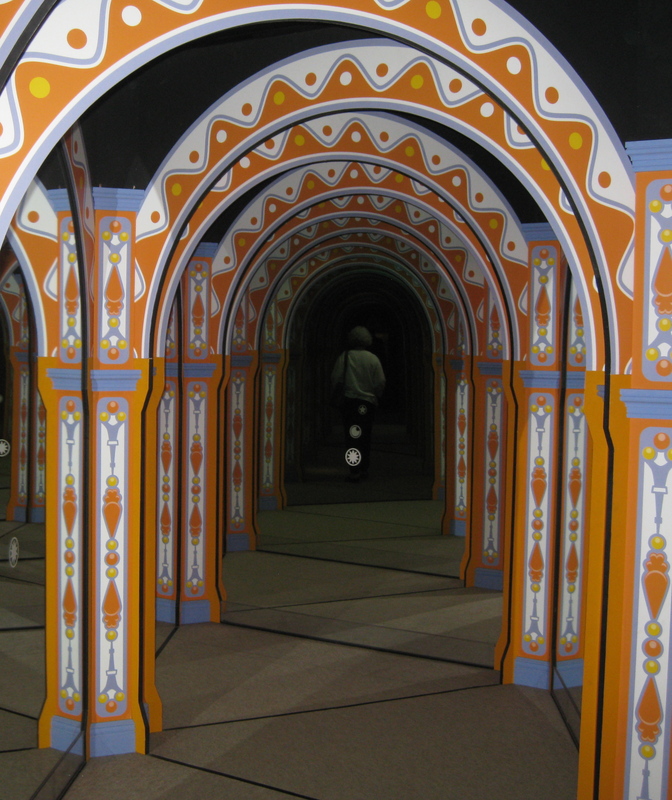 It costs freaking 3000yen to even go inside the stupid thing. And it’s ugly. I heard that it was pricey! Unless there’s an aquarium, 4 restaurants, windows for me to jump on, a wax museum, a dinosaur exhibit, a 3D movie, a Guiness Book of World Records Hall, a Magical Dungeon, A Magical Kingdom, and 4 Gift Shops I’m not going…..Just saying…. The Tokyo Tower looks a bit like it belongs in Las Vegas! In Vegas they’d have a death defying ride at the top and a black jack table at the observation deck. Hmm…that gives me a few ideas. 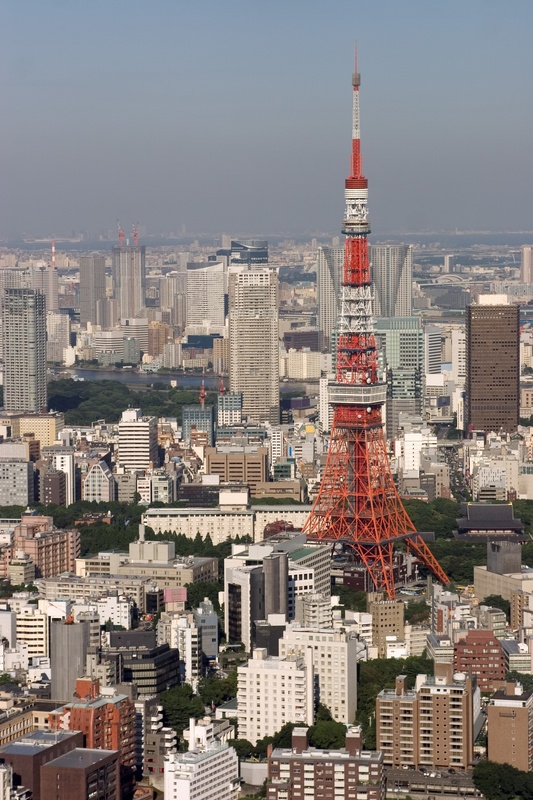 Are you going to “barter” the Tokyo Tower to Las Vegas? Please send us a pic of you in your “Black Jack” outfit- Boss style…..
My favorite part of the post was matching the toes to their owners!! Ouisers looks like they have been training for a marathon, not a series of 10 10K’s in a row. Offspring #2 don’t seem to mind last years track season. Thin Lips’ are perfectly manicured and not even swollen yet. Are you SURE you are really making her walk around Tokyo?? Better up the salt in her diet quickly. You won’t have to take me to Tokyo Tower because I will be clutching the nearest steel beam bolted into the ground. Furthermore, creaky elevators with warnings playing on a loop give me panic attacks. On the other hand, I will probably eat and Nap as much as Thin Lips does. Miss Ya’ll!! OF#2 reminds me daily to put the red toe nail polish on as it covers up a multitude of toe sins… am having to wear closed toed shoes as the feet conscious Japanese will be horrified today as we set out for the shrine at Akasuka. Are they selling chips on the top of it ? they do at the Eiffel tower. My son and I went up using stairs ( the elevators were not working for some reason) all the way up and he decides that he would like a snack on top of the Eiffel tower…….. And what does he get – American potato chips……..
Great post, as usual! Me here with the 11 y.o. and the 16 y.o…. we leave for Kyoto on Sat, arrive Sunday, then depart from Kyoto the following Sunday. 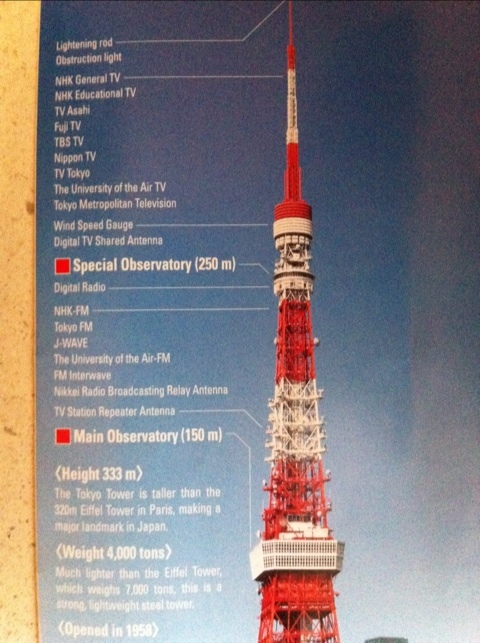 We will do a ‘day trip’ to Tokyo, seems this Tokyo Tower will deliver a lot of teenagy entertainment!!! We’ll have to check it out. I really need to get a blog going so I can share. I’m making a list of your recommended places…… I was going to print your guides, including where you dress in the appropiate period dress (! ), but that’s a lot of pages heehe, a list will have to do! Hey! We’ll be in Kyoto next week! Have a wonderful time! Would love to hear about your favorite stops! we walked to the tokyo tower a couple years back when we visited and bunked with a friend who stayed beside kamiyacho eki. if not for the close proximity to the tower, i doubt we would ever have made the trip. it’s interesting though, when the tower is lit up in festive colours. last year we were freezing our butts out watching the christmas colour display of the tower at roppongi hills. felt a little under-whelmed after it ended, not to mention very cold. It is really pretty lit up! You are so right! COLD ruins EVERYTHING in my book- I feel you on that…. Thanks for stopping in! Wow, that’s one busy tower! Re: lady with the top hat. My guess is either a local South African cabaret artist (although she’s probably not known in Japan – or anywhere else really!) or Marlene Dietrich. Was also trying to figure out who the toes all belonged to. Thanks to The Nose for the explanation. You’re right- that’s exactly who that is- It isn’t Madonna because she was somewhere else. Yes- thanks to the Nose for pointing out what I was hoping I could pawn off on someone else…. That Tokyo Tower gets around. It’s supposed to look like the Eiffel Tower, right? Only not quite as good, right? Apparently you’re just not a legitimate cosmopolitan city without one. Loved this post– especially the same view of the greenery from different vantage points. And a belated congrats on being FP’d again! 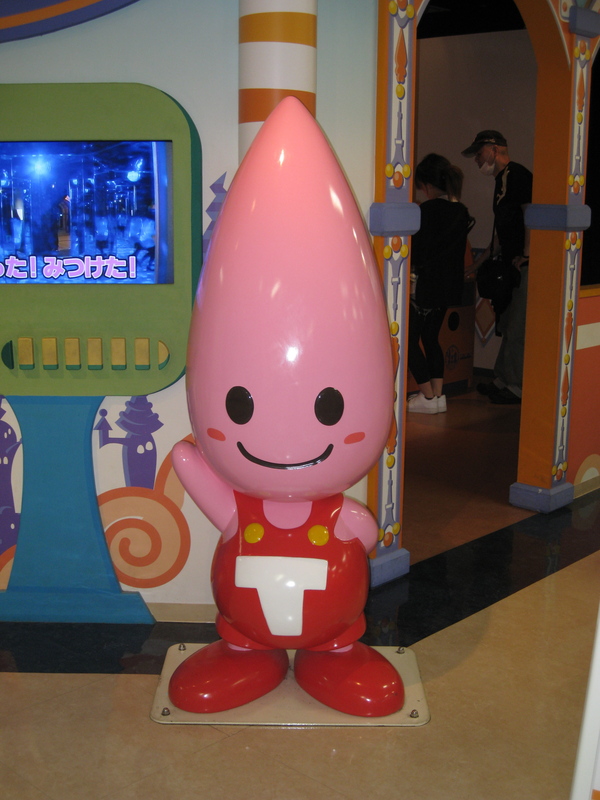 The Noppon Dude is the stuff of nightmares… Cone Heads meets Mario Brothers? I mean really….And two of the them? AHHH Tori, I believe you were FP twice in one week were you not? I think that’s a record that probably still stands! Is it creepy if I say that you and Offpsring have the cutest toes ever?! 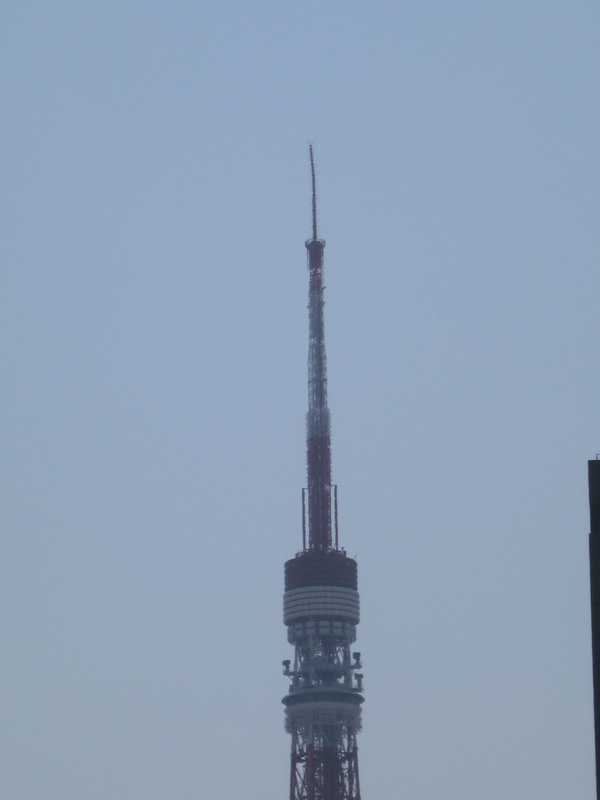 I enjoyed your funny post about the Tokyo Tower, I hadn’t known such a thing existed. When I fly into Tokyo in the future, I can say I’ve already had a virtual tour and can head straight to the hot baths! Hahah! Plenty of people will pass on the Tokyo Tower I’m sure but at least now you know what you’ll be missing…. and the onsens are NOT to be missed! Especially the out door ones. Nice post! I went to Japan last year and looking at your post made me feel nostalgic again lol. Hahah! I think the cats here are so interesting with their bobbed tails…. What was your favorite tourist spot? I just loved Ikebukuro. We stayed there so I’m a bit biased but I just enjoyed it a lot. I hope you visit Nekobukuro there if you haven’t, the kitties are adorable! OK- I haven’t been there- will have to check that out! I’ve been on Tokyo Tower,and also visited the Observation floor at the Tokyo Metropolitan Government building (no amusements there unfortunately but it’s free to ride up and walk around). and also the Mori Tower at Roppongi Hills (it is definitely not free and also lacks the amusements). The best view of any of them is Mori Tower. You can see Mt. Fuji easier from that tower and look back towards the Tokyo Tower and Tokyo Bay. I think you hit on the most kid friendly afternoon filling option of them all. GREAT tip. I haven’t been yet but I also heard that the Park Hyatt in Shinjuku has a great lunch with the great views of Mt Fuji. I’ll have to go check out the Mori Tower- the bay is also hard to see from most spots. Offspring #1 has been up there but as a man of view words he of course only talked about the helicopter in “Inception” taking off from the rooftop- not the relevant information like the good view. Have you decided on any Japanese equivalent of “Sea Monkeys” to give to your mom to try? HILARIOUS!!!!! We have “Accidentally” given her a few things- but- as previously seen- she’ll eat anything- and enjoy it. We keep trying. Thanks for the tour, Emily. For a minute there I thought you were in Paris. The Eiffel Tower’s elevator is just as noisy! Hahah! I need to get to Paris- still haven’t made it to France yet. I still haven’t made it to France. I often think about a certain high placed executive you and I used to work with who moved there and ate at TGI Fridays every night…. 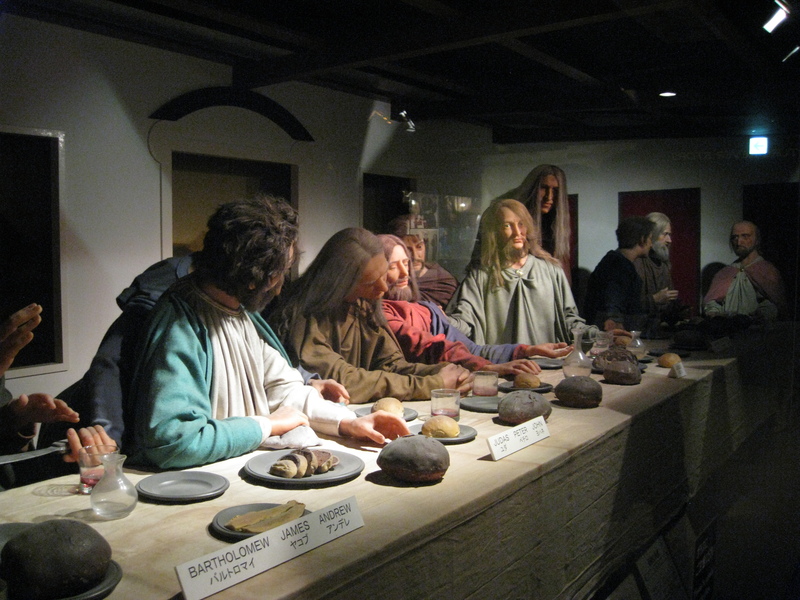 The wax models of the last super make jesus and his friends look like cavemen! I know- not quite like the vision I had in my mind…. I left out the food- which was delicious. It was a great afternoon! When I lived in Tokyo for the summer many years ago, I would walk 1/2 to get from where I lived to Temple University Japan, slowly walking around the Tower. I never actually went up it though. Great review! I do think there should be a mention of Godzilla in here though since he’s wrecked it at least a couple of times. 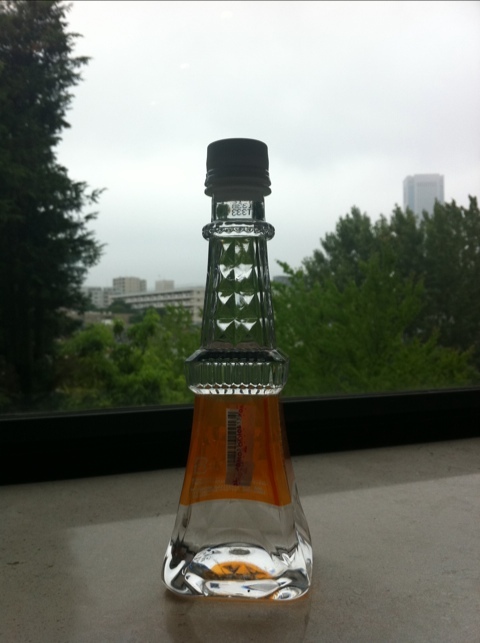 It looks to me as though the Tokyo Tower souvenirs are way more interesting than the tower itself. I have to be honest here and say that I feel the same way about the Eiffel Tower. It’s cool to say that you were at the top, but, really…you just climbed an iron tower. That’s all. I’m surprised the Japanese haven’t made electronic gizmos as souvenirs of the tower! 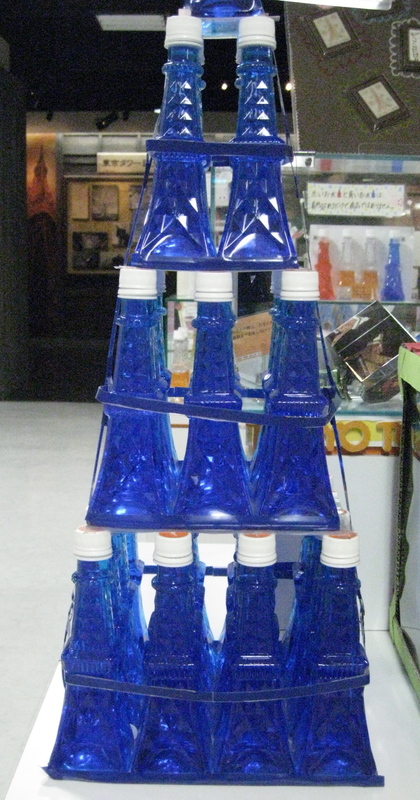 There probably were some in the gift shops I just wasn’t looking at them specifically- once I saw that tower of water, I was off on a tangent…. Thanks Haikugirl! Hope London is treating you well! Congrats on FP AGAIN! As you can see you are obviously our fav expat anywhere!!!! Thanks Chris! You’re the best…. That tower is too cool. I love your photos. Congrats on being Freshly Pressed. Thanks Rufus- appreciate you stopping by and making the comment! i’ve been on tokyo tower! i went during sunset and thought the scenery was beautiful! if you haven’t already, try the tempura shops and 7-11 onigiri! they’re delicious!!! LOVE the onigiri! Now if I can just figure out which one is which….Thanks for the tips! It doesn’t have Leonardo DiCaprio or Kate Winslet standing on the front so you didn’t recognize it right out of the shoot. I didn’t either. hahah- Isn’t it hilarious? Thanks for stopping in! It truly is a great place to be- a lot of really nice people are here. We love it. Thanks for commenting! Congratulations on being Freshly Pressed! Am glad that WordPress likes your blog as much as I do. Although I really think they should have picked the “lady parts” post too. Willie and I still laugh over that one! Thanks Lisa- will be by later to read your latest on shark fin soup- have been shuttling Mom and Offspring around Kyoto for the last 3 days. Needless to say I’m exhausted!!! Saw it was up on Twitter…. Glad I gave you and WIllie some entertainment! Japan is great fun; enjoy! Hey- I bet it’s kind of hard to write with! Hope you had a great time….thanks for stopping by. As a magnet for foolishness you would probably go for this! Okay, Emily, I go take a nap and wake up to your having been Freshly Pressed! And, God, you deserve it! Congrats, my friend! As a stateside Clampitt, I enjoyed that. Congrats on being Pressed (again). Thanks Chase! Hope all is well. A lot of problems for Japan with radioactivity. Always a good time here in Japan! very entertaining! love it. thanks for sharing. 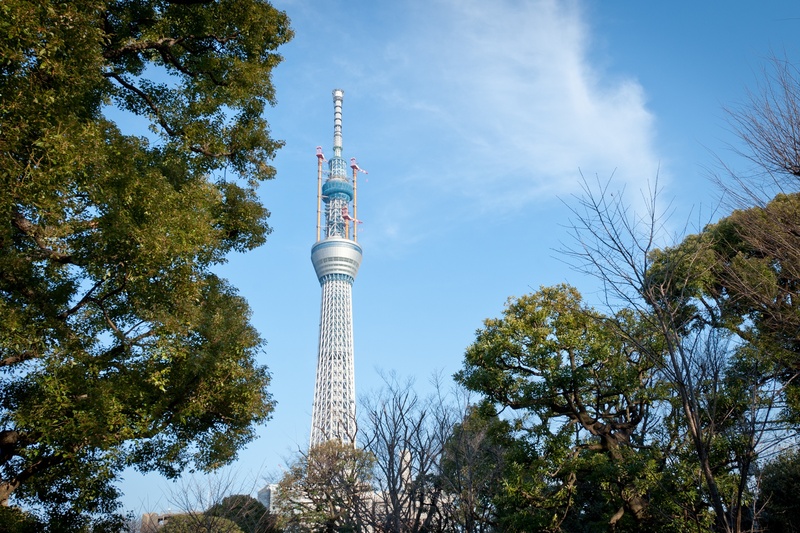 Although “Sky Tree” is taller … Tokyo Tower is the city’s icon. The Japanese are brilliant architects so maybe one day someone will tack another 350 metres onto the top of Tokyo Tower to make it the tallest struture in Tokyo once more. Wouldn’t that be a competition for worth watching? I’d set out my lawn chair, load up my cooler with soy flavored coke and have a sit in to watch…. Thanks test! I appreciate your comment! The Tokyo Tower is quite beautiful…I think I’ll just stand here and admire it from the ground though…no glass panels or creaky elevators for me! Glad you’re having fun with your mom, Emily! Thanks Wendy- we’re having a great time showing her around! I just noticed you were FP’d, Emily! Congrats…I’ve got two friends honoured on the same day…you and Paul at the Good Greatsby! Hey! And thanks! Great party for James Rollins on Twitter yesterday! Hilarious! Awesome! I’ve always wanted to go to Japan, ever since I was around 12-years old. I would have had just as much fun on this trip. So, when are you going to invite me out there? Because unless I get a record deal, or blow up in Japan, I doubt I’ll have the cash to go. You never know what can happen- a little over a year ago I was just hanging out driving kids around all day in the suburbs of Philly and here I am now living the high life…hahaha – stay focused!! Hope to hear you here soon! Hi, found your blog thru fresh pressed. My husband and I are from CA and and currently in Philippines for our honeymoon. Love the humor on your post and learning something new about Tokyo (which I know very little of), maybe a destination for us in the future? Who knows. Just want to say hi and let you know I enjoyed reading. Thanks for the shout out during such a momentous occasion! Enjoy the Philipines and stop in on us in Japan some time! The glass is scary. Not everyone dares to step on it. Much less jump on it. It is scary! Thanks for stopping by. i thing the people in there very enjoy to she the tower.. Most definitely- thanks for reading! This reminds me of when I was on the NZ tower. But I think it’s cool that there’s stuff to do inside. Usually it’s climb up, see the view, go back down. Right – I don’t remember a whole lot of stuff going on at the Seattle Space Needle- a few things- nothing like this though. Thanks for the comment. The glass pic was unnerving…. People were gasping as we were jumping on it etc. Pretty funny to watch their reactions! I understand- it’s very surreal. 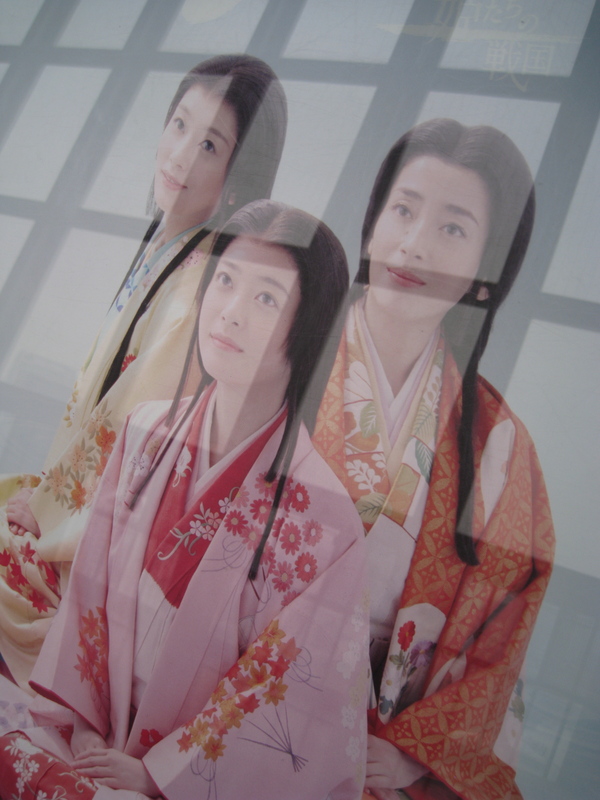 The kimono’d women are the three lead actresses in the ongoing taiga-drama Go: The Princesses of the Warring States Period. Which reminds me how behind I am on watching it–it’s a great show! I wish I knew enough Japanese to follow those taiga dramas- they look so good- everyone is ao evil/ handsome/beautiful and costumes are stunning! Thanks for your comment! Wow – I want to go there! Thanks for the post, I had never seen photos of the towers before, didnt event know they had them in Tokyo! You will love it when you do- people are wonderful! Thanks for stopping by. Now Tokyo has two towers that will be fighting for my attention. Come 2012, I have to decided. Those two-timing Japanese. I’ll see you in 2012! Your Tokyo Tower better still be there with your silly Sky-Tower. I did see that the mascot for the Sky Tree was just unveiled- I forgot what it is- a female version of something. You’ll enjoy either one most likely- I would guess Sky Tree will also have fun gizmos to add to the entertainment value. Thanks! Found you as a featured post on WordPress. Nice. Thanks Souldipper! We usually do make a loud happy bunch no matter where we turn up- much to the consternation of other stiffer tourists… Thanks for reading! I don’t think its so bad. Yeah its a little touristy but when people visit Los Angeles I take them to all the cheesy things there because it’s still the Hollywood experience. It still looks like you had fun! I felt the same way about New Orleans- I took all my friends to the same ole hang outs in the quarter but it was always a good time! Thanks for stopping by! Grand sight! i couldn’t help want to travel there! Brilliant. The tower looks like a place one should take a parachute! Well- it is a HOT SPOT! Tx for stopping by. Do you think the Top Hat lady might be Marlene Dietrich, doing the old sitting backwards on a cabaret chair singing a husky-voiced song? That tower looks about as scary as our old 50’s family Ford chugging up and down the Huey P. bridge over the river in NOLA. Hey BA! How are you? How did you find this? The Huey P Long bridge- that makes me laugh…. I think it is Marlene Dietrich…..